We spent the entire month of November in Budapest, Hungary. It was the 11th month of our year of slow travel in Europe. We rented an Airbnb on the Pest side of the river, and explored from there. As usual our primary goal was to walk away with some great photos for our daughter Lisa to remember the place by (because she was probably too young to remember it otherwise). 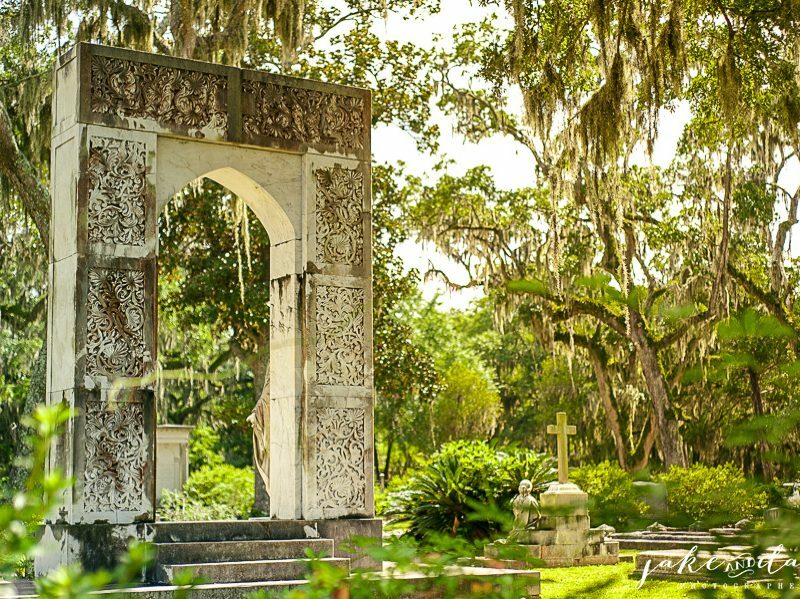 In this post I’ll go over some of the places we found to get a great view. 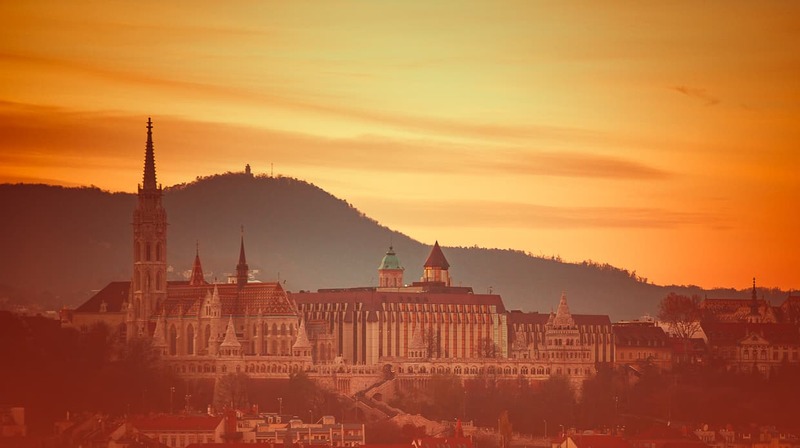 Vistas, panoramas, or just a pretty scene – these were our favorite sights in Budapest. By the way, this post contains affiliate links. 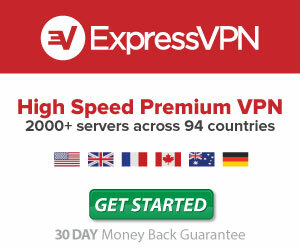 If you make a purchase after clicking on one of them we will earn a commission at no extra cost to you. If you’d like to read more about our efforts to monetize this family travel and photography blog, please check out our monthly series, Operation Digital Nomad. One last thing before we get started, being in the right place at the right time is only part of getting great travel photos. It’s also important to understand your camera so you can get the photo you are envisioning. If you lack confidence in your photography and feel lucky when you get a good shot, have a look at my e-book, Easy Manual Mode Photography. For the cost of a fancy coffee, you could make sure you capture all of your travel memories, just as you envision them. 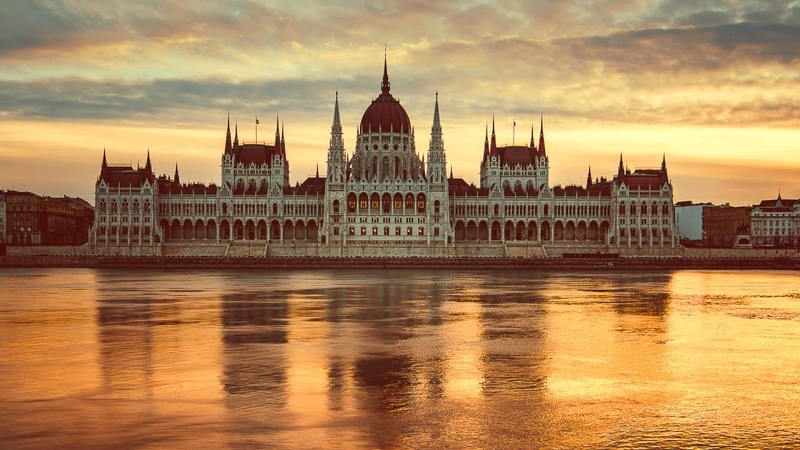 As far as I’m concerned, the Hungarian Parliament Building is one of the most beautiful buildings in the world (but the most beautiful city is still Paris). 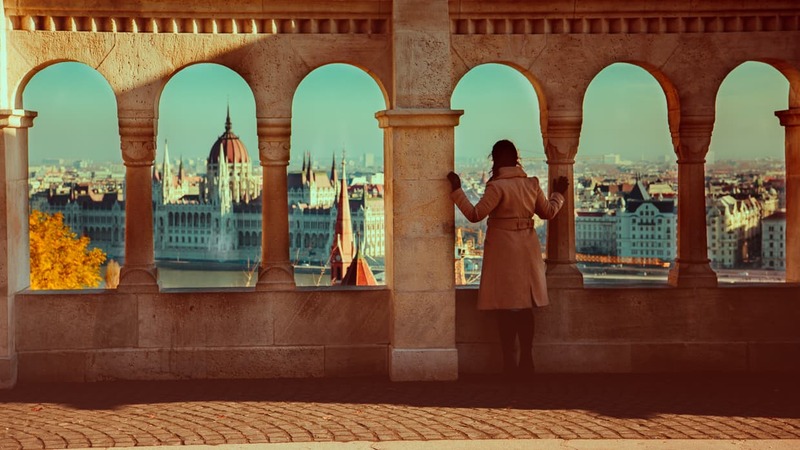 Standing right over the Danube, it will find a place in any panoramic shot of Budapest. Its domes and columns seem to glow in red and white during the day, and after dark, the building lights up the night. The Hungarian Parliament Building just after sunset. Though it is on the Pest side of Budapest (Google Maps), the best place to photograph the Parliament Building is from the other side of the Danube. Let’s face it, you’re looking for that straight on shot of the structure where it’s reflecting on the water. 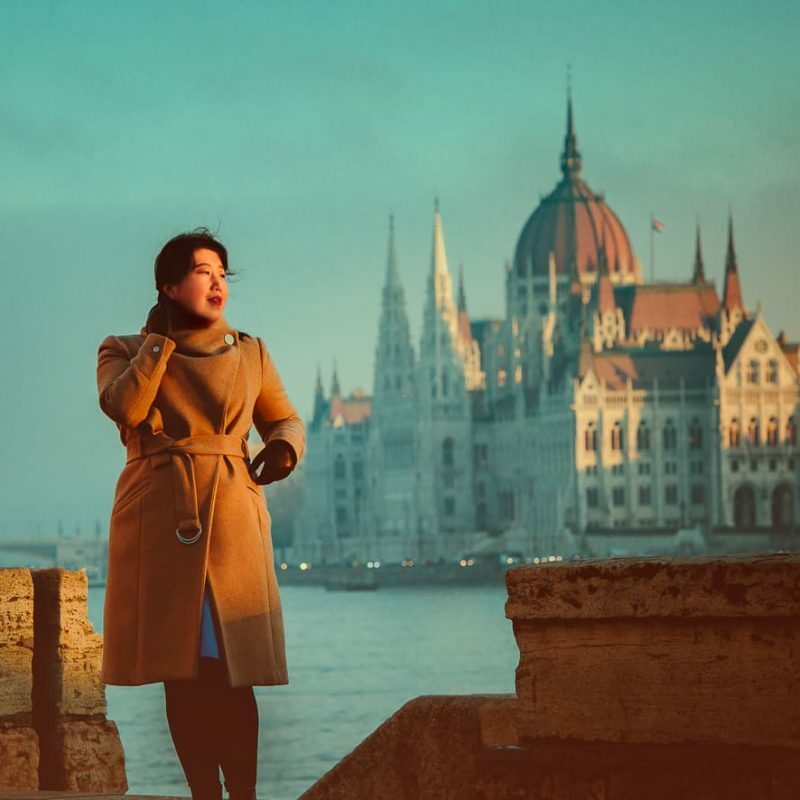 On the Buda side of the river, there is a long riverwalk that goes from North to South, and it’s a beautiful walk for anyone who wants to take in the sights. Take some photos while you are on your way. This riverwalk was where we took the featured image for this article. But if you are just heading out to capture that iconic image, there is a shortcut. Budapest doesn’t allow Uber, and their taxi prices are steep, but they do have a pretty decent public transportation system. It just so happens that there is a metro stop only a hundred meters or so from the ideal vantage point. Take the M2 line and get off at Batthyány tér (Google Maps). Once you emerge, you will see the Danube to your east. Cross the trolly tracks and walk north until you are directly across from the parliament building. Hint: It can be hard tell when your angle is dead on when the distances and the building are large. You will know you are in the right spot when the central dome is perfectly centered between the two steeples on the front of the building. Though the Parliament Building is very large, you will be far enough away that you don’t need a super wide angle lens – our Nikon 24-70mm was more than enough. There are two places nearby where you can stand to get a good angle. The first is right there on the sidewalk, where you can shoot over the street below (although sometimes a tall truck will pass through your frame). This location is easy to get to, but it can get crowded at certain times (even in November when we visited Budapest). 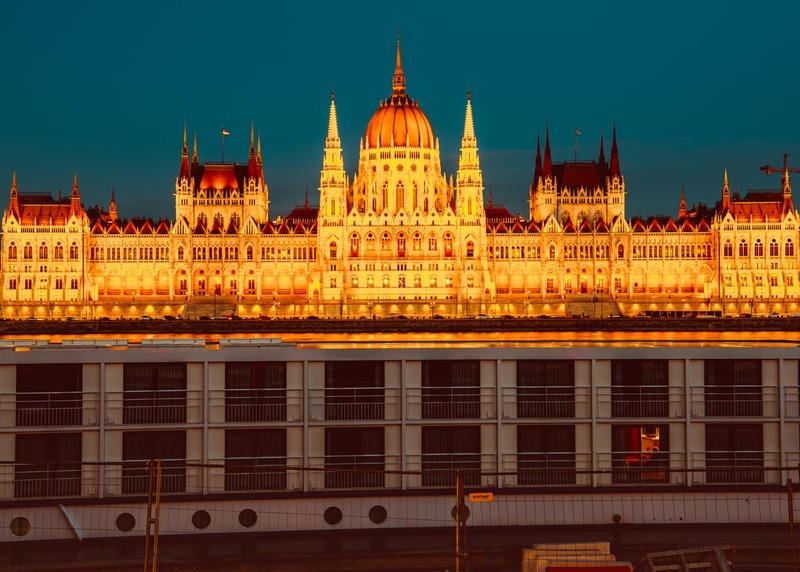 The Hungarian Parliament Building at Sunrise from the riverwalk above the road. The second good spot is on the other side of that street (Google Maps). The advantage of that angle is that you are closer to the water so you can get more river in your photo. The downside is that you have to cross a busy street on foot with no sidewalk. There is no safe way to do it. 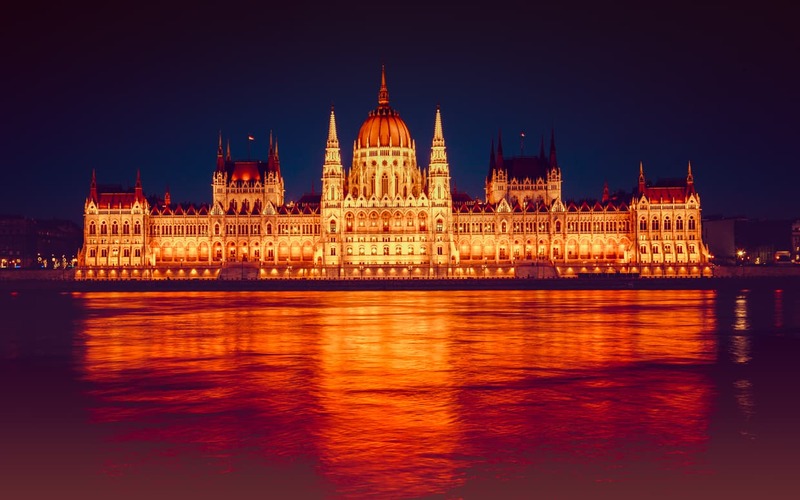 The Hungarian Parliament Building at night. In either location you still have to get a little bit lucky. I walked to this area four times, and two of the times there was a giant cruise ship parked right in front of it (oh look, the Google Street View photographer had the same problem), forcing me to walk down the shore and get a less than ideal angle. This river boat has a parliament building on top of it. It will be tempting to try to get a shot from the metal platform that connects the elevated sidewalk to the street below, but it is wobbly and will create motion blur unless you are shooting at a time with plenty of light. 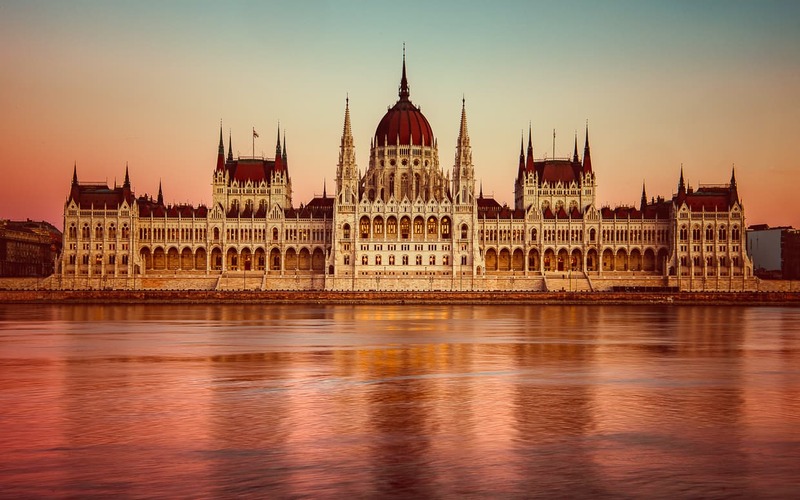 The two best times to photograph the Hungarian Parliament Building are in the morning at sunrise and in the evening after sunset. In the morning, the sun rises to the southeast, and it gives you a brilliant sky for the background. During my visits there was very little wind at at sunrise and the reflection was excellent. Unfortunately the hill behind you will put the entire Parliament Building in Shadow long before sunset (it looks weird during golden hour), but if you stick around until after dark, the lights come on and you can take some beautiful photos of the building and all those lamps reflecting on the Danube. At either of these times you will want to bring a tripod along. Not only will you need to do long exposures because it is getting dark, there will also be a wide range of light, requiring you to do multiple exposures for HDR or layering in order to avoid noise. 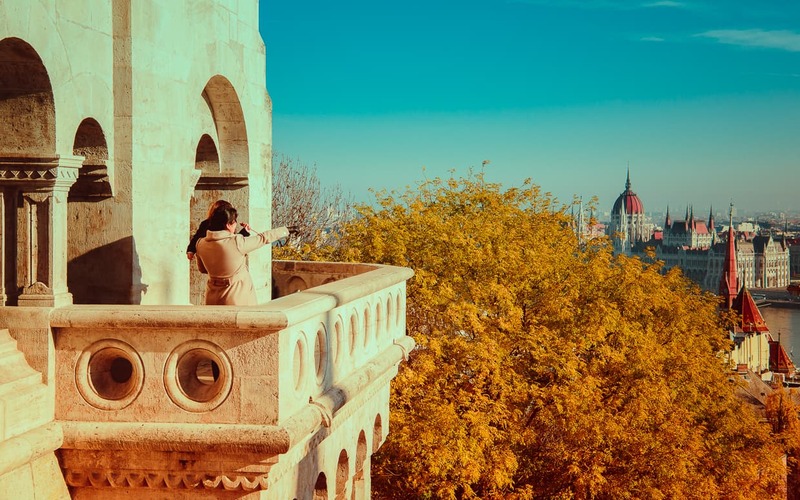 The Fisherman’s Bastion is another of the most beautiful structures in Budapest, Hungary, but it’s also a great place to get a view of the Danube and Pest behind it. In the background you can see the Parliament Building, and in the foreground the steeple of Szilágyi Dezső Square Reformed Church rises up. To get to the Fisherman’s Bastion (Google Maps), you can either take a cab, or you can climb the hill on foot. We also stopped there one morning when we decided to take a bus tour of the city. The bus didn’t go up the hill, but it delivered to a shuttle that took us. I’m not sure if non tour members can take the shuttle or not. Once you are able to pry your eyes away from the white stone structure and the nearby Matthias Church (Google Maps), you can turn them outward to take in the cityscape. The Fisherman’s Bastion viewed from the top of the Budapest Eye. The most obvious place to take a photo of the view is from the top of the wall, which you can climb for a small fee. We didn’t do it though, not because we were cheap, but because the wall wasn’t open while we were there. We came early in the morning to get good light, and to beat the crowds when we went to photograph the Fisherman’s Bastion. 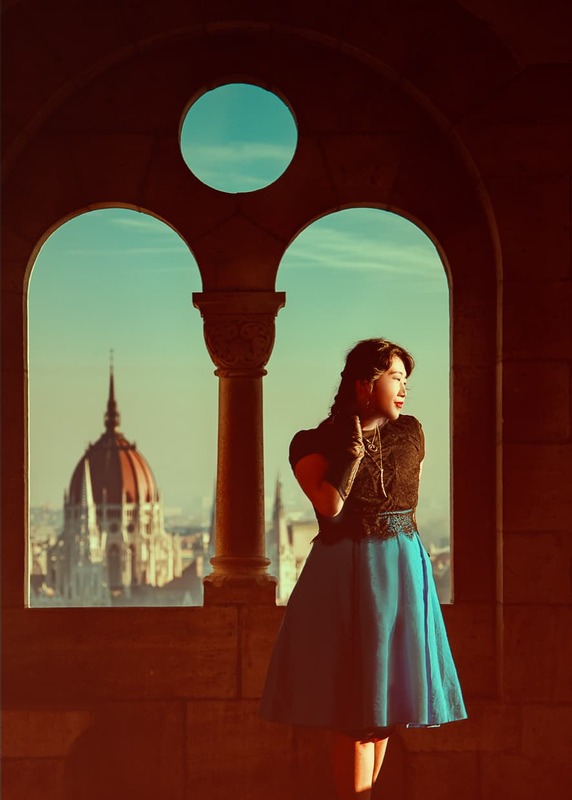 Our goal was to photograph Dannie and Lisa with the Fisherman’s Bastion and the view of Budapest as our backdrop. There were three spots in particular that I liked. The first was shooting out from near the stairs at Dannie and Lisa looking out from the balcony on the left. The second was with Dannie in one of the turrets, where I used the window light to cast her against the darkness of the interior with the Parliament Building visible through another window behind her. But my favorite angle was a slightly wider view of the city through the columns near the stairs, which provided an amazing foreground for Dannie to pose against. The best time to take photos at the Fisherman’s Bastion is definitely in the early morning before they open (hours: 9:00 – 23:00). When we went there for our photoshoot it was a very cold November morning, and we didn’t enjoy the Fisherman’s Bastion very much because we were uncomfortable. But the lighting was great and there were no tourists around. If you do the same thing, you can take some comfort in the knowledge that there is a Starbucks (Google Maps) right there where you can go to warm up, and they open nice and early. The light might also be good in the late afternoon or evening, but the Fisherman’s Bastion is a very popular attraction, and sunset tends to be a lot more crowded than sunrise, generally speaking. 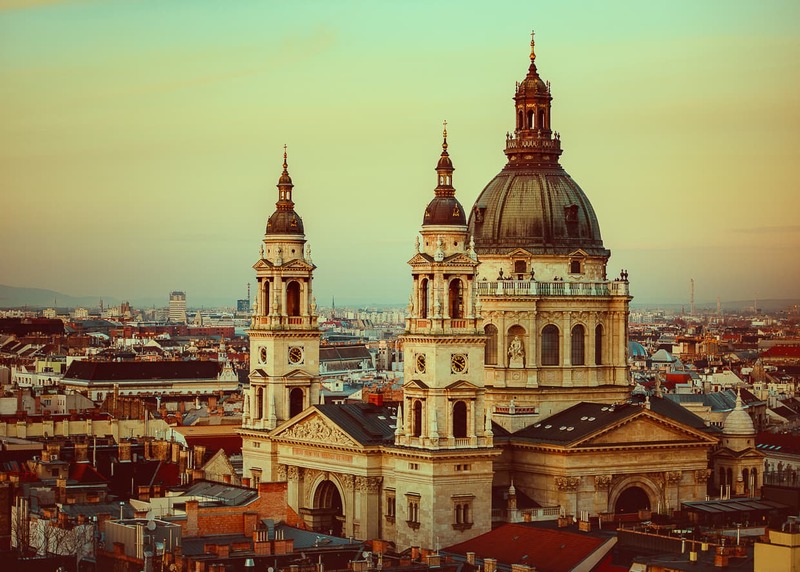 A lot of people say that the top of the tower in St. Stephen’s Basilica (Google Maps) is a good place to get a panoramic view. The only problem with that is from there you can see everything… except St. Steven’s Basilica. 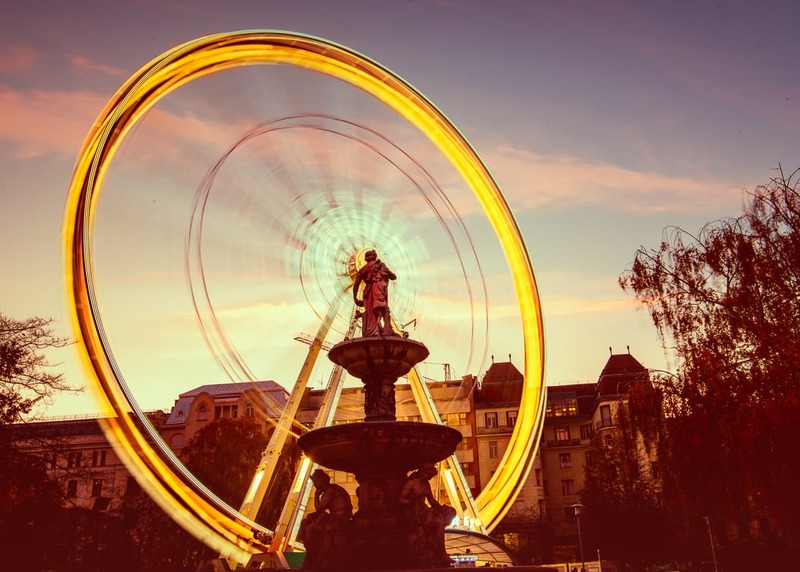 The Budapest Eye is as high as the nearby church, and it’s fun to ride too. Also, since you are up in a little pod instead of on a crowded balcony, you won’t have to jostle for position. It costs 2400 HUF, which is only about 9 USD. I rode it three times in one night because the light just kept getting better. To the North you can see St. Stephen’s Basilica, which I thought looked best from the very top of the wheel. The View of St. Stephen’s Basilica from the Budapest Eye. To the South on the hill you will see the Gellert Hill Liberty Statue, which actually looks better from the Budapest Eye than it does from right below it by the Budapest Citadel (Google Street View). A lot of people will say that the Citadel is a good place to get a view of the city. We didn’t think so. There were a lot of trees obstructing the view of the best parts of the city, and it takes forever to get there. 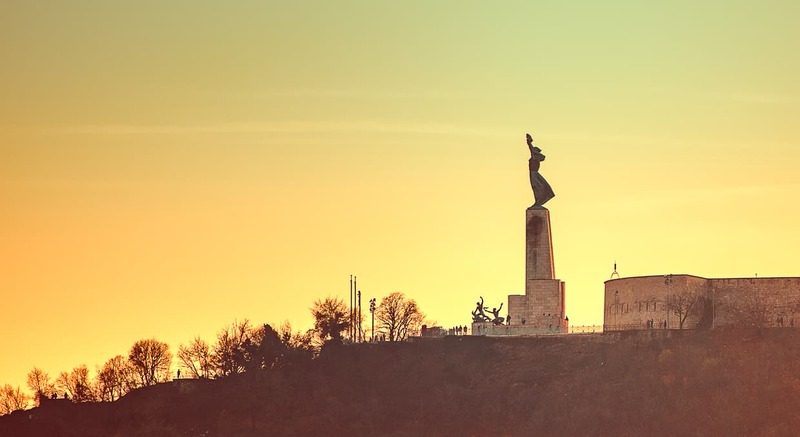 The Gellert Hill Liberty Statue at sunset. 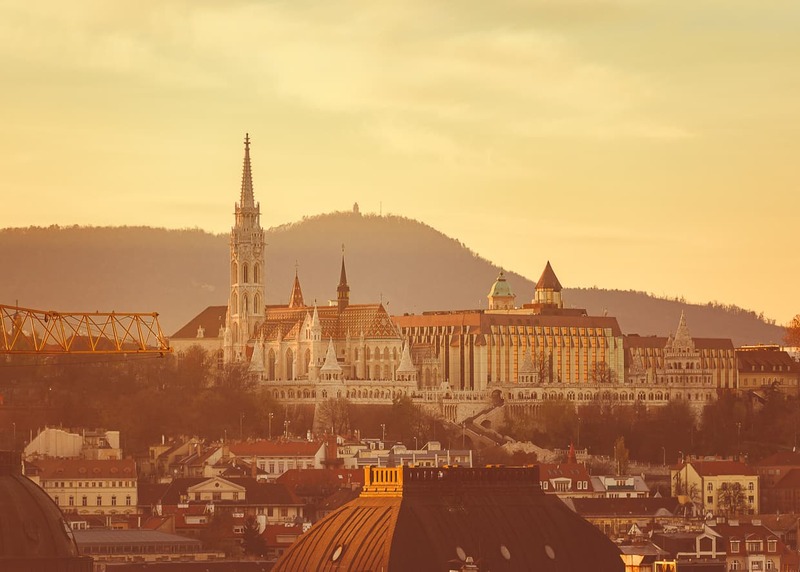 To the Southeast, there is a beautiful view of the Budapest skyline with dozens of steeples rising up into the sky. It looked particularly beautiful at sunset on this hazy day. The city skyline of Budapest, just after sunset. To the west you can see the Fisherman’s Bastion up on the hillside next to Matthias Church. The Fisherman’s Bastion and Matthias Church at Sunset. The best time to take photos from the Budapest Eye is at sunset. The main reason Dannie and I usually do mornings is to avoid the crowds of tourists who won’t get up early on vacation. Sunset light warmer in color than sunrise light and it lasts longer too. I think this link should tell you when sunset is in Budapest tonight, no matter when you are reading this. There wasn’t much of a line in November, but get there a bit early just in case. To get a lot of these photos you will need a zoom lens. I used my Nikon 70-200mm telephoto lens. If you are interested, I’ve written an entire article on why I think zoom lenses are great for creative travel photography. Tip: To avoid reflections in the window obscuring your shot, press your lens right up against the glass. Then, wrap a piece of black fabric around the lens right where it touches the window (but not in front of the lens). Don’t use any color besides black. We had already booked our trip to Vienna in December, partly because we’d heard the Christmas Markets there were amazing (they were pretty good). But by the time we got there we’d already had all the Christmas market we could handle. The markets in Budapest were going up when we got there, and before we left they all seemed to be in full swing, at least around the Inner City (Google Maps) on the Pest side of town. 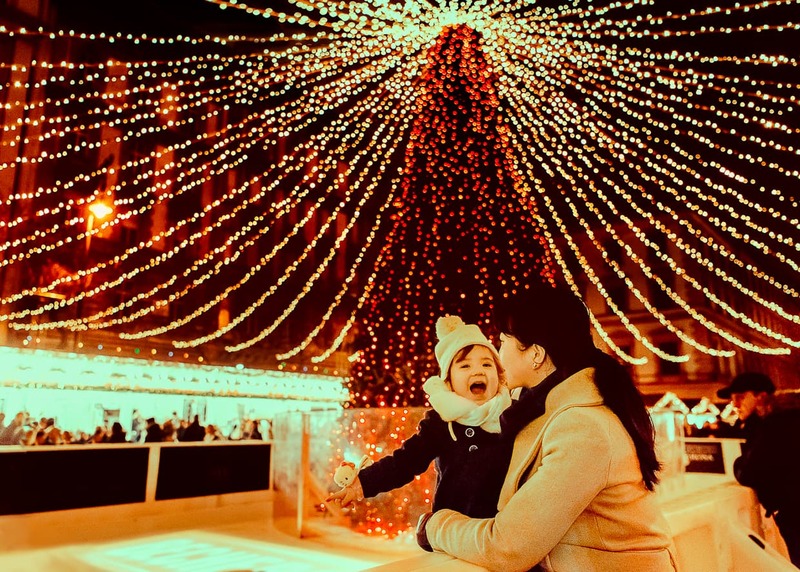 A Christmas tree with in Budapest, Hungary. Honestly, we saw them everywhere, but our favorite one was in front of St. Stephen’s Basilica (Google Maps). They had ice skating (though not nearly as much of it as Wiener Eistraum in Vienna), but the coolest part was the 3D Christmas projection show on the facade of the basilica. You could buy 3D glasses from the vendors there and it was a blast for Lisa. 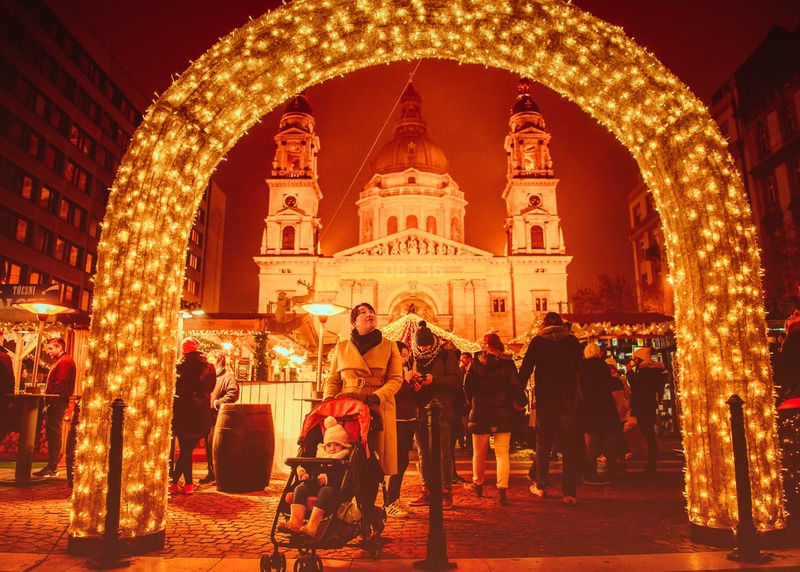 The Christmas Market at St. Stephen’s Basilica in Budapest, Hungary. Whenever they are open. Don’t bother trying to get one before it’s crowded – the only time they are empty is when they are closed, and that’s no fun anyway. During the day you will have an easier time capturing what’s going on since you’ll have more sunlight, but at night you can enjoy the Christmas lights. There was also an amazing display of Christmas lights on Deák Ferenc u. (Google Maps), a pedestrian shopping street in the Inner City. 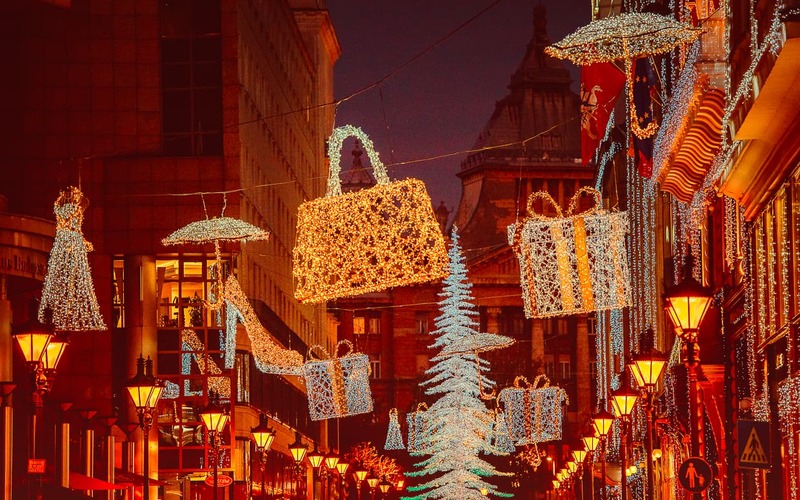 Christmas Lights on Deck Ferenc u. in Budapest, Hungary. I hope you enjoyed looking at our photos, and I hope you feel inspired to take some of your own. Obviously we didn’t visit every single attraction in Budapest, so don’t feel limited. 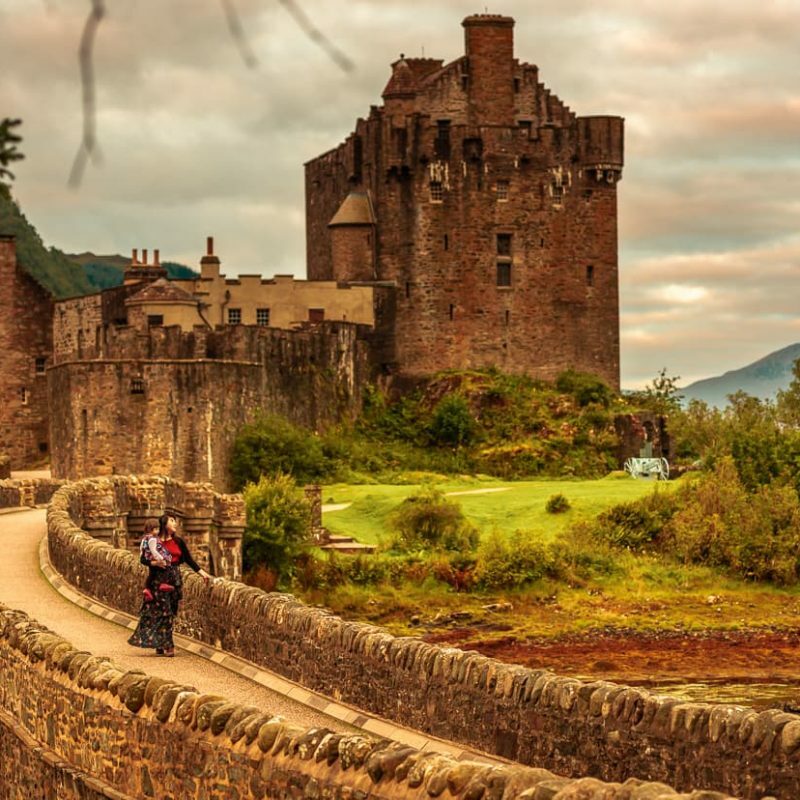 If you enjoyed this photography guide, please go to our destinations page to see if we have been to any of your other favorite cities. If you’d like to help support us in our travels and our blogging, consider taking a look at our resources page as well to see what product, service and technology recommendations we have for your next trip. 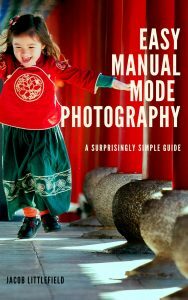 And, of course, you could always benefit at the same time by purchasing a copy of Easy Manual Mode Photography from our shop. Happy travels and happy photography. 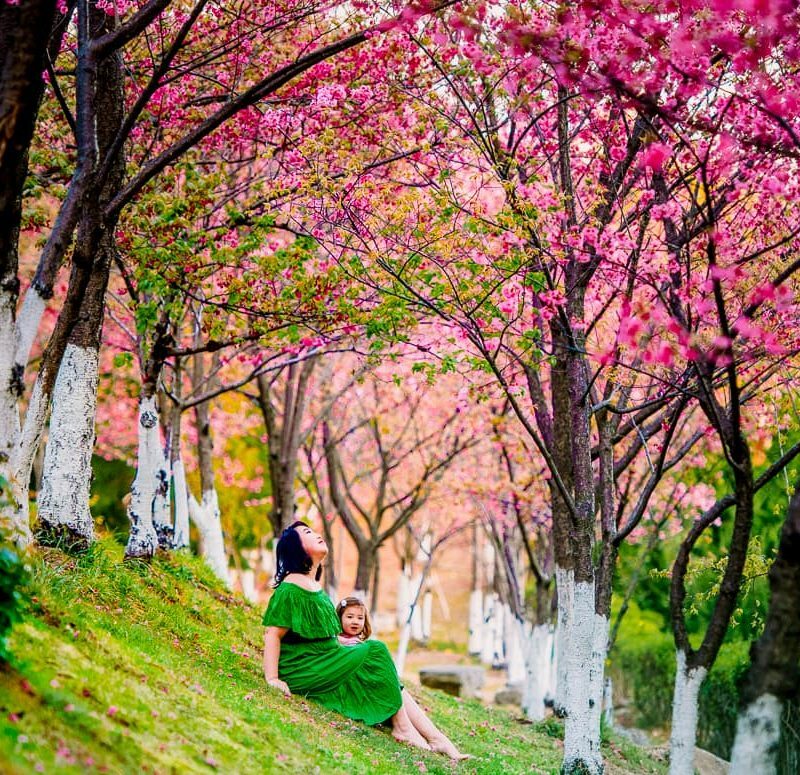 Photographing Cherry Blossoms at Dali University in Yunnan, China.